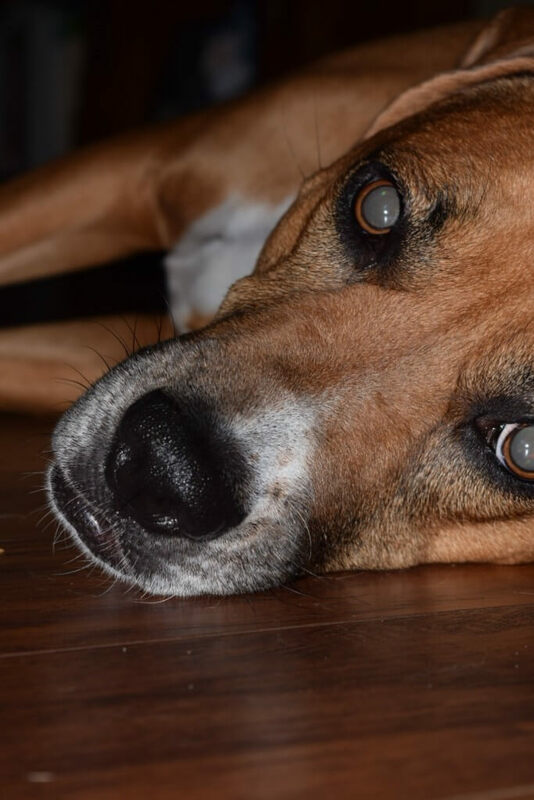 We love our pets like children but when they have an accident, urine can cause permanent damage to your carpet and can create an unhealthy indoor environment. 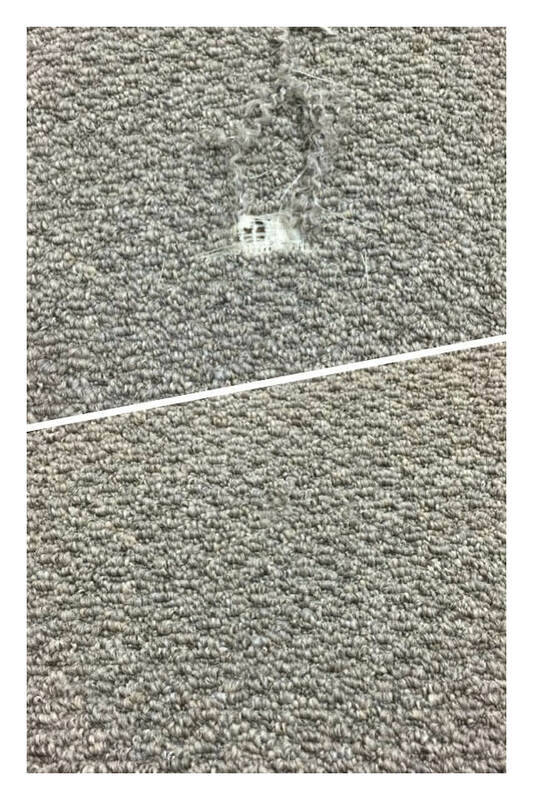 The acidic nature of urine offers a perfect breeding ground for bacteria and begins to react with the carpet fibers to create a sometimes permanent color change. Urine odor is more noticeable when the humidity is high because the salts attract moisture and put out a greater proportion of ammonia gas. 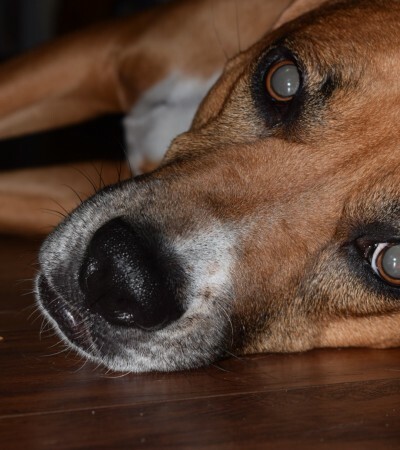 We offer several pet odor and stain removal processes depending on severity and budget. This can range from thoroughly flushing the carpet, remove the padding and treat the subfloor to a simple topical enzyme pre-treatment. For that occasion where Mom and/or Dad leaves for longer than expected and their fur-baby has an accident, we can use the localized topical enzyme treatment before steam cleaning. 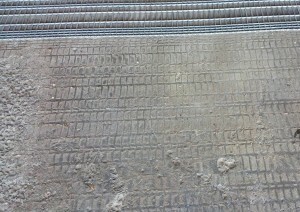 This treatment is sprayed on, left to dwell and then extracted out. 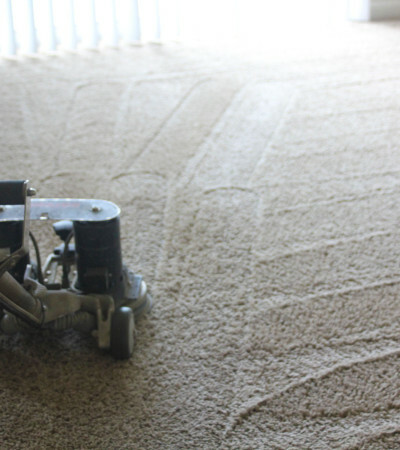 These enzymes are bacteria eating machines that do their job by breaking up the molecules in urine and then can be thoroughly extracted out of the carpet. Enzymes work for smaller areas and you can buy these at your local pet supply store between professional cleanings however some of these can further damage your carpet. Another option for between professional cleanings for an odor only removal is using a mixture of vinegar and water on the spot. The A Step Above difference is we can use our powerful extraction equipment to thoroughly rinse the urine and remove the cleaning products. Doing so will help to prevent the area from attracting more dirt and your pet from remarking. We also deal with the habitual offenders. You know, the fur-baby who hasn’t been fully trained yet, or the strong-willed rebel, who won’t, grasp the whole “outside” concept. Some do it because they are marking their territory. Some do it just because they’re cute and it’s hot outside and they can get away with it. 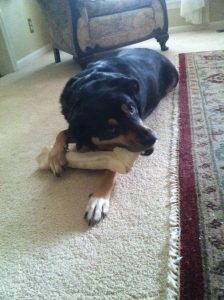 Pets like to go in the same spot, and topical over the counter cleaners don’t remove all the smell. Even if you can’t smell it, they still can. 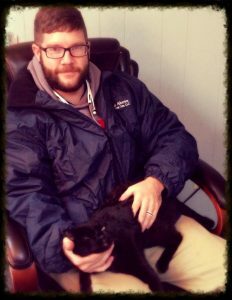 For these guys and gals we offer a pet seal and treat service. 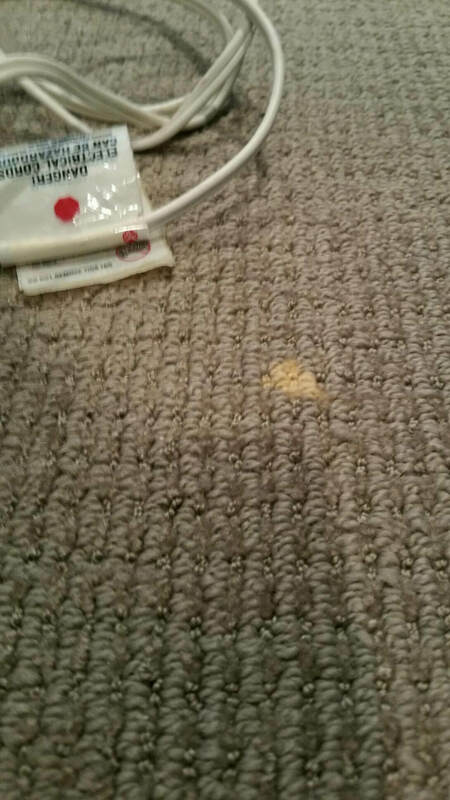 Here we apply a higher pH product that liquefies the urine to the front and back of the carpet. Then thoroughly flush the carpet, remove the old pad and replace it with new. Finally we apply a sealer to the subfloor to prevent Fido from identifying his “spot”. Why won’t they go on my tile/hardwood where it’s easier to clean up instead of my new carpet?? We get asked this all the time. The short answer is carpet is more plush and feels more like grass and doesn’t splash back up on their precious little bottoms like on hard surfaces and it’s a better way to mark your territory. This is can actually be a good thing (okay, not good but better! ); urine will ruin your hardwood and break down the sealant on your tile, carpeting just needs a quick removal and thorough professional flushing.Your technician will be honest with you and discuss all your options and expectations. A Step Above’s rug care staff is thoroughly trained to care for your quality rugs. We will thoroughly wash your rugs in our custom built cleaning area where they will receive a thorough cleaning process custom designed for your specific rug fiber and needs. We offer both offsite and on-site cleaning. 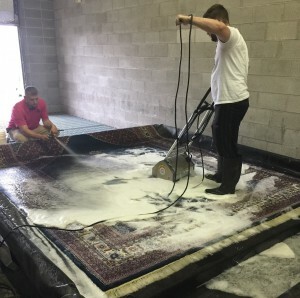 Taking rugs offsite to our facility allows for thorough rinsing insuring the best clean possible. Sometimes you just want them freshened up. 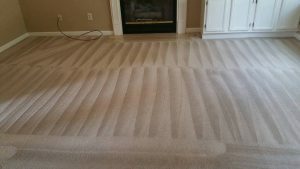 We can do that cost effectively at your home on some fiber types provided the rug has no major staining or pet issues. You can rest assured since we offer complimentary rug care evaluations and will quote you a firm price either way. 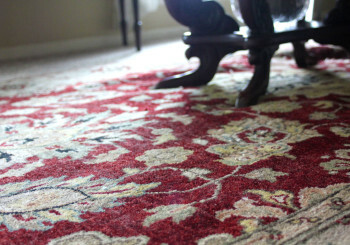 The fibers in Oriental and similar rugs differ from those found in residential and commercial carpet. They typically consist of more natural fiber such as wool, silk, cotton, and jute. The backings are very different, as natural foundation yarns are found more in rugs as opposed to separate synthetic backing fabrics for carpet. Woven constructions are most prevalent in area rugs, and as such are more sensitive to on-going care. Cleaning technology varies due to the potential for dye migration and fiber distortion. During our initial inspection we will determine as much as we possibly can about the type of rug and inherent characteristics and conditions that may affect cleaning. A company representative will come to your home to transport your rugs and we can deliver them back to you. You can also drop off and pick up your rugs at our facility. We carefully tag the rug at this time to avoid any mix-up while the rug is in our possession. 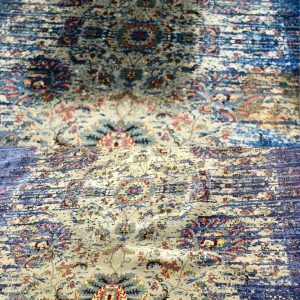 Every rug is thoroughly pre-inspected and photo documented to determine and identify if there are pre-existing conditions, which could potentially affect the cleaning process. 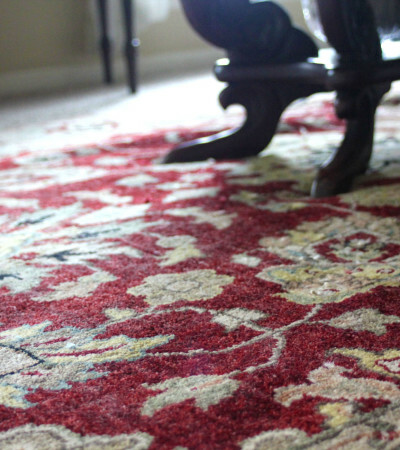 We will document these conditions to help determine the best method of safely yet effectively cleaning your rug. 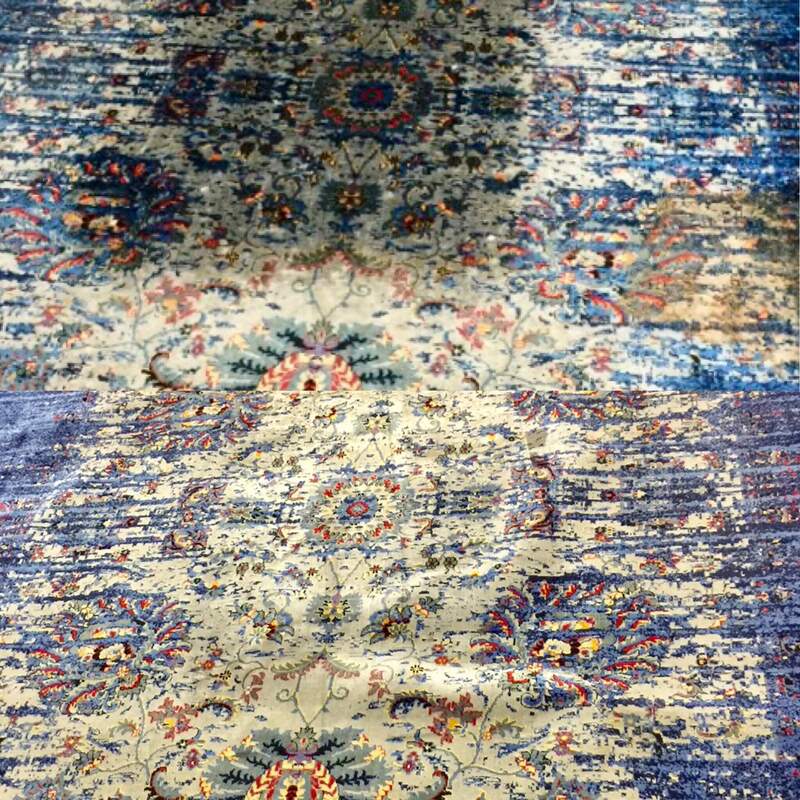 You will be contacted by our rug cleaning expert prior to and/or during cleaning to discuss your rug’s condition if any stains become problematic. Once we get your authorization to proceed, we guarantee to give you expertise and workmanship consistent with industry standards of care. Woven rugs tend to hide substantially more dry soil than wall-to-wall carpet. Studies performed by the Eureka Company found that a 9 x 12 rug could hold as much as 87 pounds of particulate soil. We use a variety of techniques to “dust” the rug. Gently beating (like Grandma used to do), the rug from the backside with a specialized machine allows soils to sift downward and out of the pile. This is the most important step in cleaning any rug, as dry particle soil can cut the rug’s delicate fibers and cause premature wear. Following dusting, the rug’s face is vacuumed to remove fine particles left on the surface. 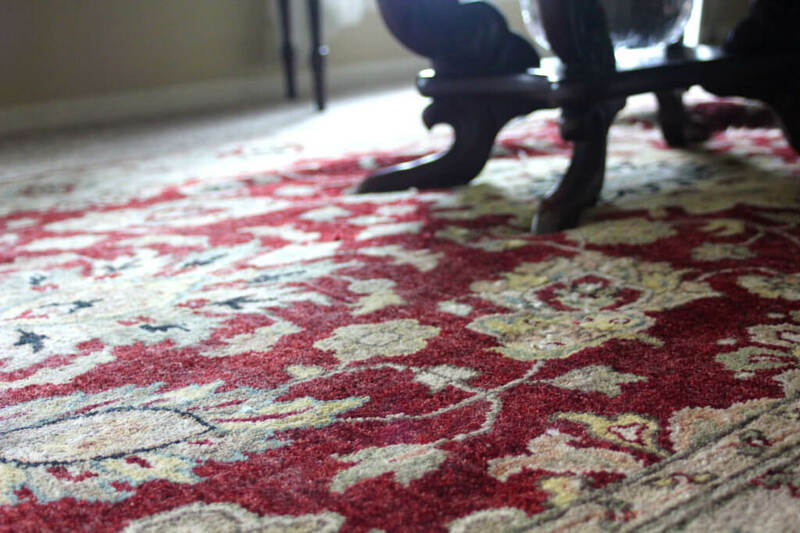 One of the worst situations that can occur during rug cleaning is dye migration or bleeding. Since most fine rugs are made of wool or silk which is dyed with acid dyes, dye migration is always a concern. We will perform a prolonged colorfastness test to determine which cleaning method to employ to avoid potential color migration problems while achieving the most effective cleaning results. Problem rugs will be treated with a dye locking agent to help inhibit any bleeding problems. Any potentially troublesome spots will be pre-treated with special products to help increase chances of removal. Often times, the fringe requires special treatment aside from the rug. It is treated with a special fringe cleaner to maximize soil removal, and hand brushed. The Most Important Part — Cleaning! Our rug specialists will evaluate your rug to choose the best cleaning procedure possible for maximum soil removal based on fiber content, delicacy and colorfastness. These methods may range from very low moisture to complete submersion cleaning with heavy scrubbing to remove soiling. Depending on the type of rug, soils will be thoroughly rinsed from your rug with extraction equipment or flushed with a specialized wand in a rug bath designed especially for rugs. After soil removal, the rug may be dried flat on our rug drying platform or hung to dry on our special rug tower. Inadequate or incomplete drying or wet cleaning on-location could cause prolonged drying, texture change, browning, dye migration, mold growth, dimensional change, and/or dry rot. When the rug is completely dry, it is groomed with a soft bristle brush made especially for rugs. 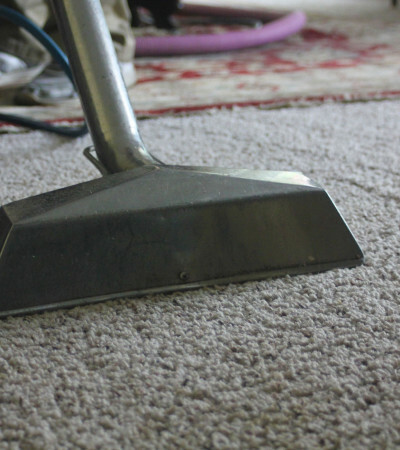 A final vacuuming will remove loose fibers and dry soil that may have surfaced during the drying process. Fluorochemical protectors resist particle soiling as well as water and oil-based stains. Application of fabric protectors can enhance the performance of your rug and help keep it cleaner longer. Since these coatings may be worn off over time by traffic and maintenance (e.g., vacuuming), they should be reapplied after a period of use and following professional cleaning. Our rug cleaning specialist will give the rug a final inspection and release it for pick-up or delivery. We will notify you at this time that your rug is completed and schedule a delivery time that is convenient with you. We will wrap the rug for ease in handling and to protect it from dirt, rain, etc. during the delivery process. It is not meant to be stored in these temporary bags. Not only will rug pads bring comfort and cushion to your rugs, but they’ll also add durability to make them last longer. 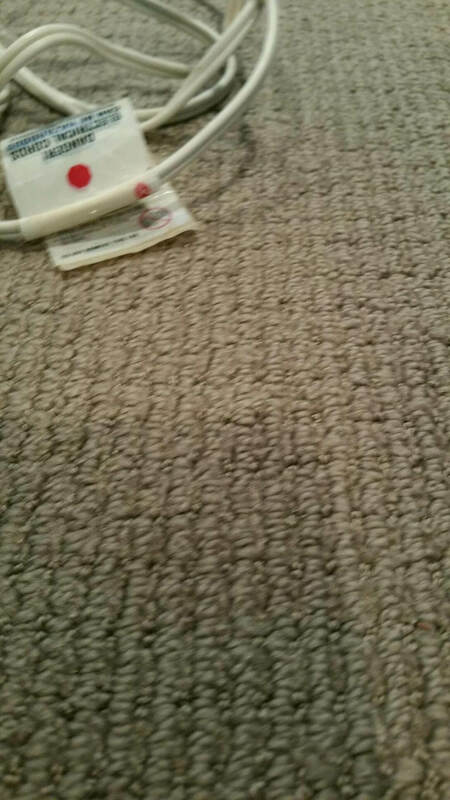 Rug pads create a safer environment by reducing trip hazards of your area rug, which also makes it easier to vacuum. Whether you need a rug pad for a hard surface or carpet, we have the selection for you. Most rugs are not the exact size stated, for example an 8×10 may be 7’9″x9’9″. We offer a premium, non-slip rug pad that we will custom fit to your rug while it’s in our facility to ensure the rug will fit perfectly on top of the pad. Upholstery and mattresses can take on a lot of damage and staining, and over time dirt and debris will build up on the surface. Mattresses can hold a lot of dust and even get dust mites on the surface. Routine sheet changes will not keep this from happening. Your mattress should be vacuumed regularly and steam cleaned once a year to remove debris and even perspiration that can be embedded into your mattress surface. 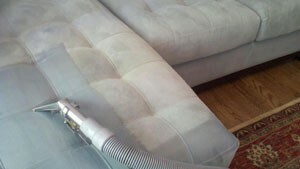 We have enzymes we can treat your furniture or mattress with to help odor control after the cleaning process. 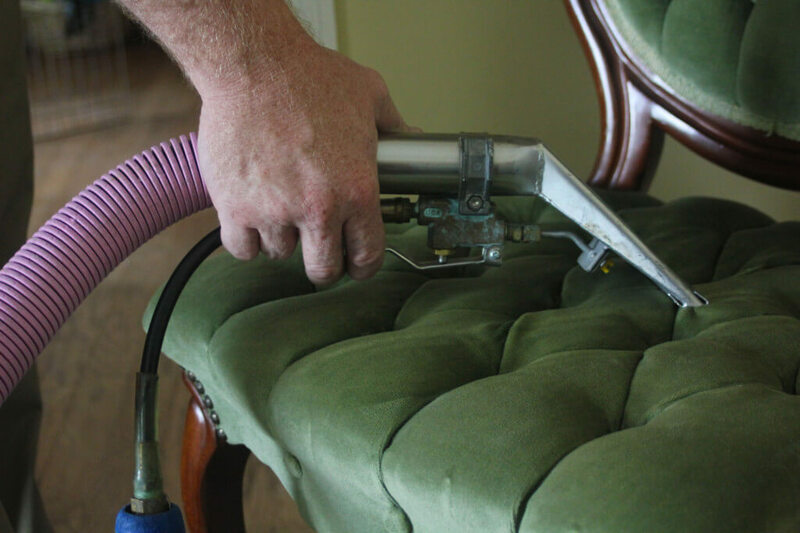 Our upholstery cleaning process (though similar to our carpet cleaning process) is a steam clean that uses cleaning solutions and equipment specifically manufactured for the most sensitive of surfaces. While most upholstery can be steam cleaned, some natural fiber furniture is to be dry cleaned only and we also have the specialty products to clean those as well. Our method will effectively remove normal staining, germs, and your family’s’ shed skin cells from your upholstery according to industry standards. Did you know over a 24-hour period, you lose almost a million skin cells? This is where most of the dust from your home comes from! Want to see for yourself? Take a black cloth over a piece of upholstery (a black cloth napkin works great), then vacuum the opposite side and now look at the upholstery side of the cloth. You will either be amazed or disgusted! We clean the whole piece: front, back, sides, pillows, etc. 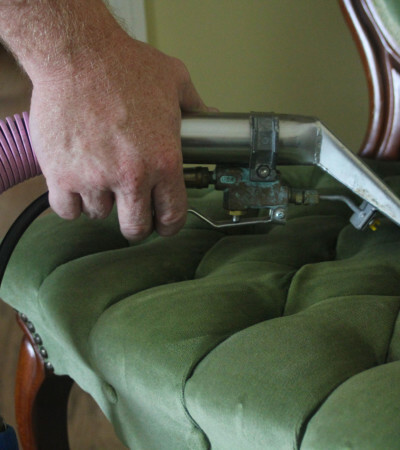 to ensure we’ve removed as much debris as possible and leave your upholstery smelling fabulous! While this is the best option for the long-term maintenance of your upholstery we understand budget constraints and can offer an option to just clean the areas your body touches, which would include the pillows, arm rests, and the seating areas of the bottom and back cushions. We also offer fabric protection for your upholstery. This will help keep small spills from turning into stains. Ask your technician about fabric protection to help protect your investment. Tile can look amazing in any setting. Whether it’s in an entry way, kitchen, or a custom bathroom. The tile itself is usually easy to maintain with routine cleanings, but the grout is another story. Simply mopping your tile is just going to swirl dirt around and cause dirty water to soak into your grout. So, save your back and let your mop rest, let us do a thorough cleaning on your tile and grout! 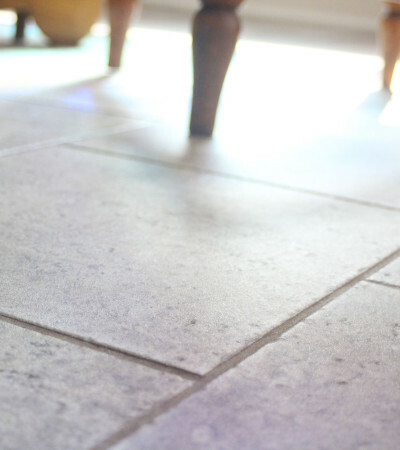 Tile floors requires the same kind special attention and care as the rest of your floors. 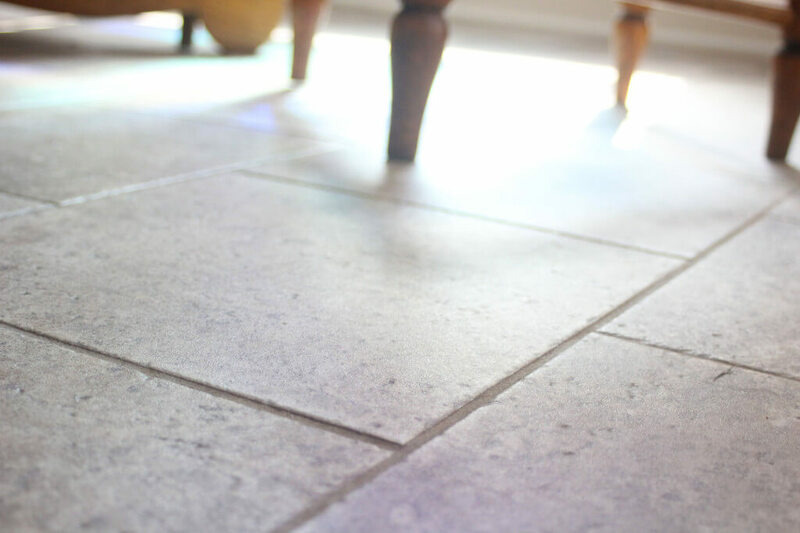 As much dirt, bacteria and debris as a carpet or rug may carry, tile floors may have the same embedded in the pores of the surface. 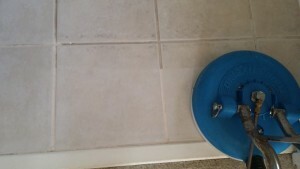 Normal mopping is only going to pick up the dirt that attaches to it, and it allows dirty water to set in the grout because it is lower than the tile and is not wiped as well. The grout is very porous, unlike the tile, so overtime this can lead to filthy, dirty grout. Our tile cleaning process consists of using a high-powered steam cleaning tool to blast and agitate your tile and grout as well as cleaning solutions made for your tile type and soil level. 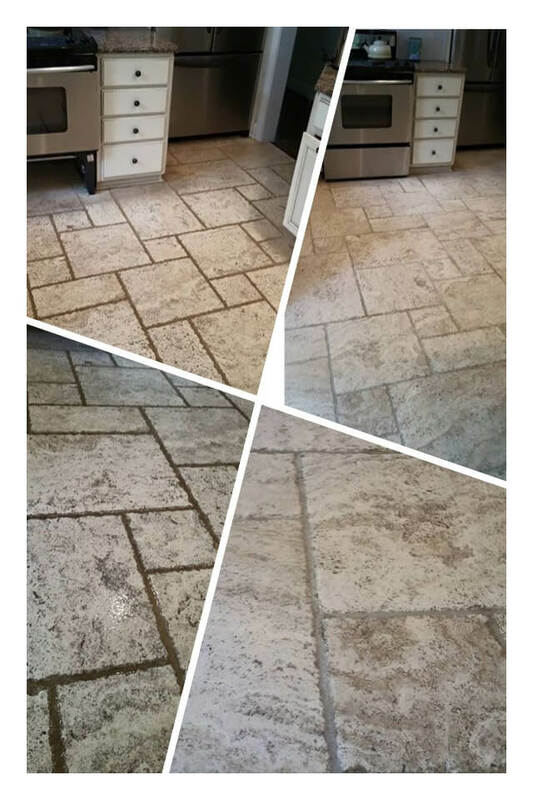 We are careful to protect the surrounding areas as we clean so those specialty products used stay on the tile. We can clean ceramic, porcelain, and natural stone tiles. 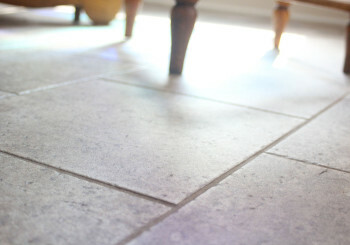 For an additional charge we also offer grout sealing on the ceramic and porcelain tile cleanings. This will help keep your grout from getting dirty as quickly in between cleanings, and help keep stains from setting in if spills occur. It is still possible for the grout to be stained if liquids absorb into the grout, so those still need to be gotten up as soon as possible. Don’t neglect your showers either! We have a smaller tool to clean tighter spaces and showers. We can remove years of soap buildup and mildew with specially designed products and high pressure steam cleaning. 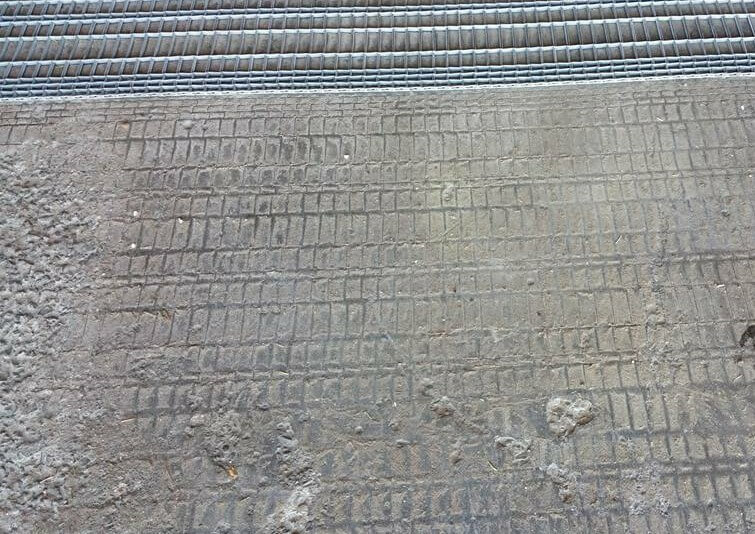 Our specialty tools are specifically designed for this type of work, so please don’t hesitate to call us to take care of all of your hard surface cleanings. We always do a complementary test spot to ensure your satisfaction before beginning the job. We offer a wide range of carpet repair services. Our highly trained staff is trained in carpet repairs and dyeing, further lowering your replacement cost, and helping you get more life out of your carpets. We are your one stop shop for all your carpet care needs. 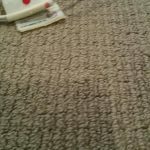 Carpet Stretching (Both kick stretching and power stretching are available) – over time your carpet can become warn, or if it wasn’t installed properly, it can get small humps. 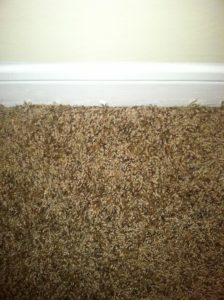 This will wear your carpet unevenly in those areas, decreasing the life and appearance of your carpet. We will stretch your carpets out in the best way possible and do what is needed to keep your carpets looking the best they can. Seam Repairs (If carpet starts to split at doorways) – seams are mostly found in doorways where two pieces of carpet are joined together with a special glue. In high traffic areas those seams can sometimes start to come apart. 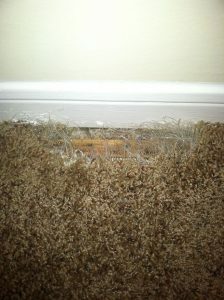 We can help repair those and keep the carpet from unraveling and coming apart at the seams. Burn Plugs (To prevent replacing small areas) – small burns don’t always need a full sized patch. 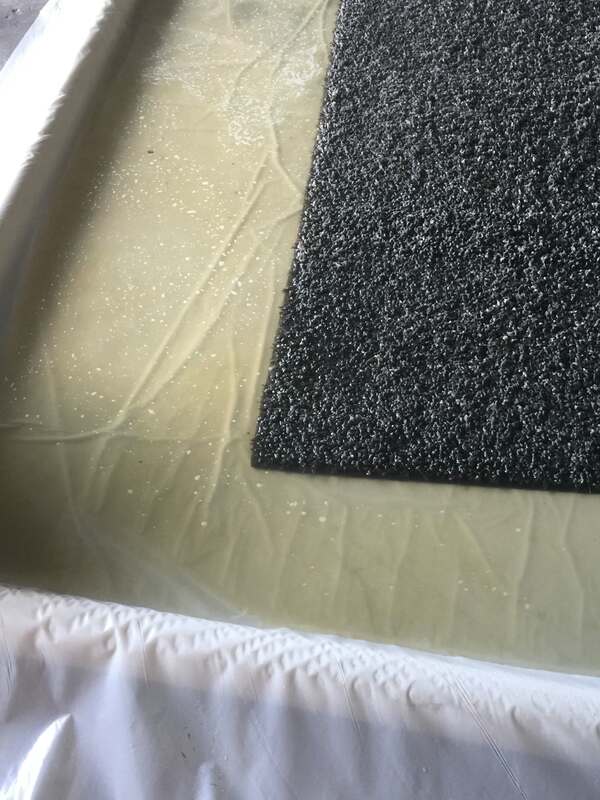 We can remove the melted fibers and pull fibers from an inconspicuous place and transfer them and glue them in with specialty glue to hold them in place. 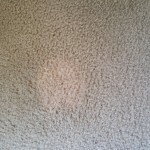 Spot Dyeing (for stains such as bleach) – when bleach is spilled or certain cleaning products get on the carpet it can turn the color or even remove the dye completely. Our trained technicians can neutralize the bleach spot and put color back in your carpet fibers getting them back to or as close as possible to the original color of your carpet. 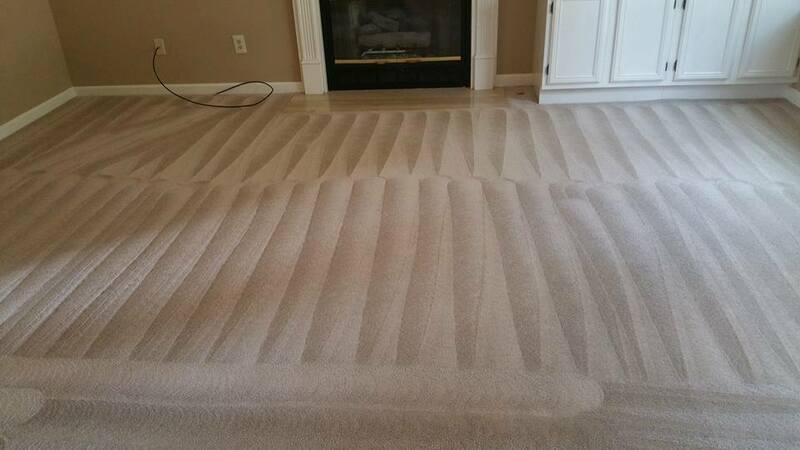 We are committed to providing you the best carpet cleaning possible at a reasonable price. 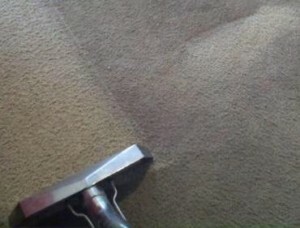 We offer two different types of carpet cleaning. We offer the traditional hot water steam extraction cleaning, as well as an encapsulation cleaning. 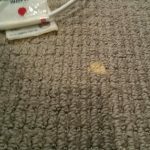 The encapsulation cleaning will dry faster and will get out your normal spills and stains, but we do not recommend this method for heavily soiled and pet stained carpet. We will be happy helping you choose which method will best fit your needs. As an IICRC certified firm, we follow industry leading standards to ensure you get the best clean possible. Don’t fall for “splash and dash” methods, we ask that you please allow ample time for your appointment as your technician will need time to walk the home with you, inspect your flooring, set up equipment including corner guards to protect your walls, properly clean your flooring, and do a final walk through to ensure your satisfaction with our services. Pre-inspection – Our technicians will walk your home with you before they begin cleaning to inspect your areas of concern, discuss pricing and procedures, and answer any questions you may have. 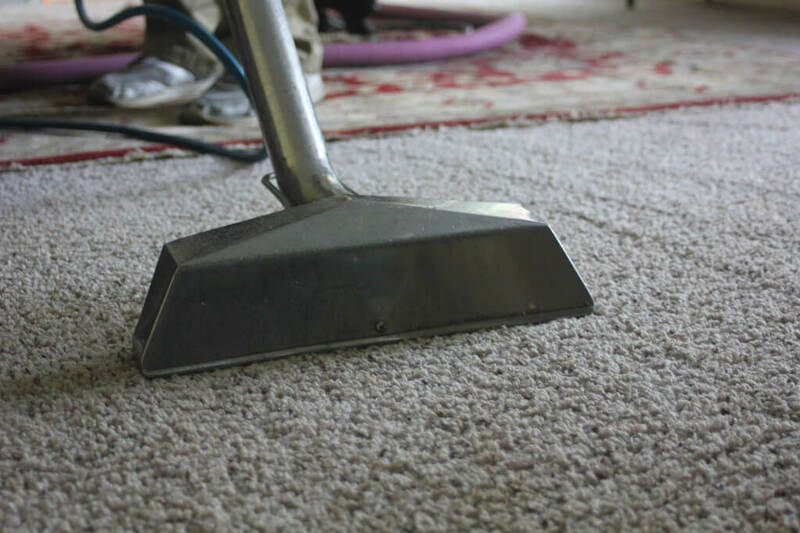 Vacuuming – vacuuming is an important first step in cleaning your carpet. Water mixed with dirt is mud and it is important to remove as much dry particulates as possible before the clean begins. 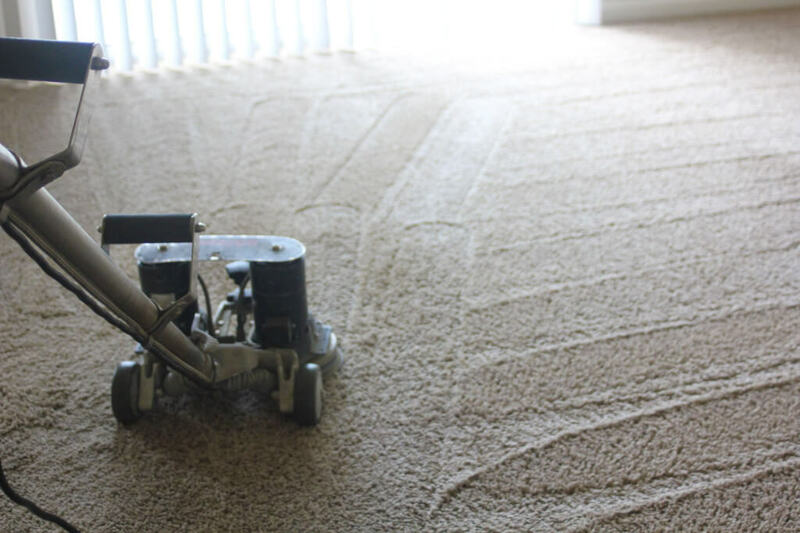 This does not replace your normal vacuuming between appointments but ensures that the carpet is free of as much dry soil as possible before we begin cleaning. Pretreatment – We put down a pre-treating solution and allow it to dwell to help loosen soils and stains (think soaking your dishes before you wash them). Some specialty stains such as wine, ink, certain foods, etc. will need additional treatment during this process. Encapsulation Cleaning – An encapsulation solution will be sprayed on all carpeted area to be cleaned. This will scrub your carpet leaving behind a minimal amount of soiling and encap cleaning solution. As the solution dries it will bond to the soiling which will be removed after the solution dries and the carpet is vacuumed. Steam Cleaning/Hot water extraction – Depending on fiber type, we generally clean around 200°, our powerful equipment weakens the physical stain’s bond leaving your carpet clean and sanitary. Pressure and heat are regulated to prevent over wetting and heat is adjusted for natural fiber carpet such as wool. This step helps improve your air quality by removing the pollens, pollutants, dust mites, etc. from the carpet. Waterless Passes– the technician will glide his wand over the cleaned areas using vacuum only to help remove any excess water. Almost all of the water is removed after the dry strokes, leaving your carpets slightly damp. Small fans are used in certain areas where airflow may not be as good to ensure drying. 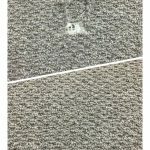 Post clean spot treatment – some stains that didn’t come out during the clean may require an additional treatment after the clean. We have different spotting agents for different types of stains. Although we do use an anti-wicking agent to keep spots from coming back if they are in the pad, some spots may return and need a second treatment. Protectant applied – an optional additional charge but highly recommended– Most carpet has protectant added in when being made at the manufacturer, however it is removed with normal wear and needs to be put back in regularly. The time frame of protectant lasting depends on your lifestyle; i.e. do you have pets, kids, or little traffic? Protectant helps lengthen the time between your cleaning and makes cleaning up spills easier. Protectant fills the extra dye sites in a fiber and helps to keep dyes from spills from penetrating the carpet fiber. It also resists dry soil and allows less soil to bond to the carpet, therefore, making it easier to vacuum up. It also extends the life of your carpet, saving you thousands in replacement costs. Our protectant comes with a 6 month limited warranty. 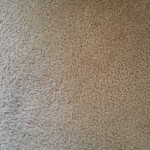 If anything is spilled on your carpet within 6 months, we take care of it at no charge. Some restrictions apply (such as normal wear, pet, flood, fire, etc. ) Ask your technician for more details. Final walk through – We don’t leave until you are happy! Your technician will walk with you to ensure your satisfaction with our work. After completion, you are given a satisfaction survey, a carpet care tips guide, and a goody bag that includes a complimentary bottle of stain remover. You will also receive a call from the office within 1-3 days to insure your complete satisfaction.